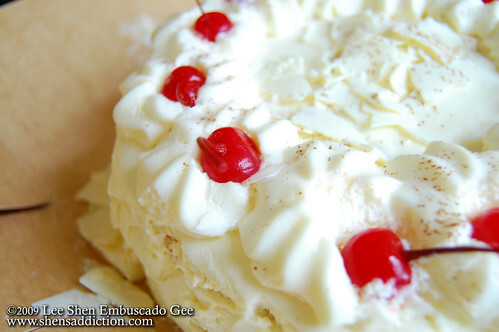 The Uncurated Life: YumYum: NEW Red Ribbon White Forest Cake - My new fave RR cake! 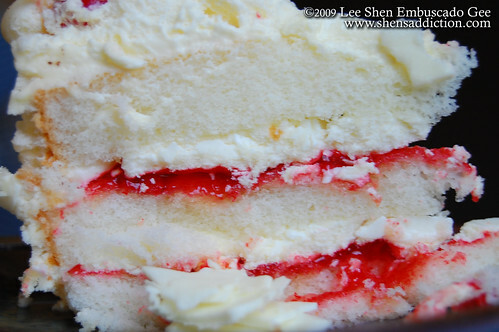 YumYum: NEW Red Ribbon White Forest Cake - My new fave RR cake! Love at first bite. 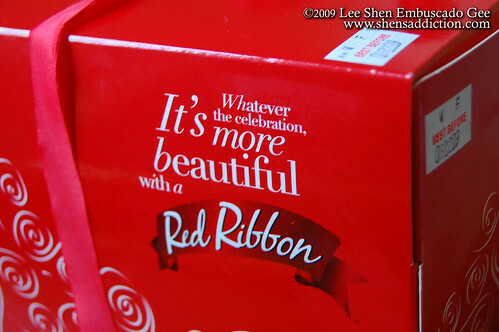 It was exactly what I felt when I tasted the New White Forrest Cake of Red Ribbon. It was neither too sweet nor too filling but enough to give you that burst of happiness in every bite. 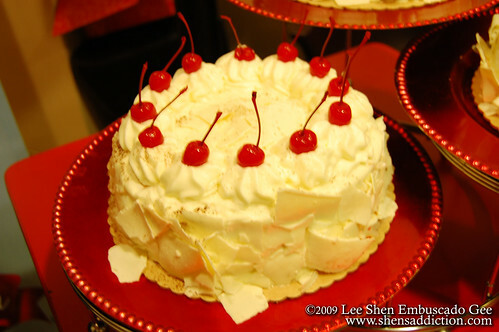 The three main ingredients makes one of my favorite cake at the moment, red juicy maraschino cherries, soft white chiffon that melt in mouth and the delectable white chocolate shavings on every layer and surrounding the entire cake. A definite surprise to your family when you bring this home for dessert. Coffee lover? 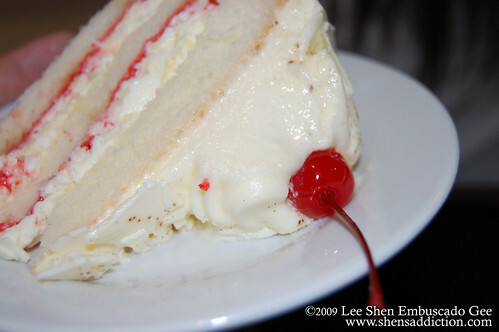 The Red Ribbon Cake is best served with a hot cup of your favorite joe. A good YumYum to enjoy during this cold weather. 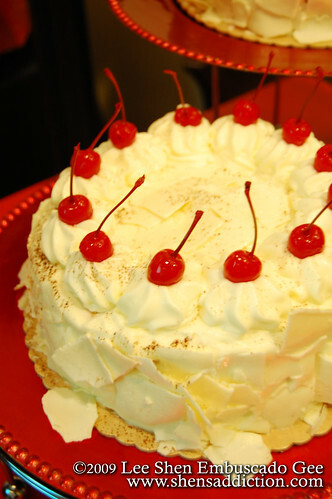 The next day, I got to enjoy once again the White Forest Cake. I didn't even feel the earthquake as I finish up a slice as the rain pours heavily outside.